Despite losing the No.1 spot on last weekend’s ARIA albums chart, there’s still a lot of love in the room for Taylor Swift’s new album ‘1989’. A lot. It bagged platinum sales here in Australia in after just two weeks in the No.1 position and has cemented itself as a firm favourite to continue its sales dominance right throughout the Christmas period and beyond. ‘1989’ comprises a number of gems, including the earworm No.1 smash ‘Shake It Off’ and the Tay-Tay gone cray-cray new single ‘Blank Space’. And to celebrate its dominance on the Aussie chart, the lovelies at Universal Music kindly swung five copies of the deluxe edition of the album in our direction. To enter, we asked the simple question… How many tracks did Taylor have in the ARIA top 50 singles chart? The answer, of course, was two. Dean from Belrose in New South Wales, Andrew from Quakers Hill in New South Wales, Brent from California Gully in Victoria, Rachel from Baradine in New South Wales and Ben from Cranbourne in Victoria. Congratulations lady and gents! 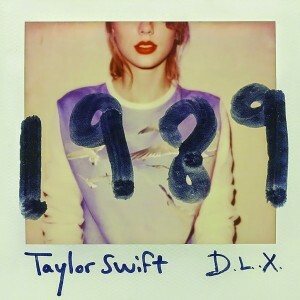 A copy of the deluxe edition of Taylor’s album ‘1989’ will be winging its way to you shortly. And thanks to all who entered. In the meantime, look! Over there! In the sidebar, you may well find more delightful giveaway goodness.